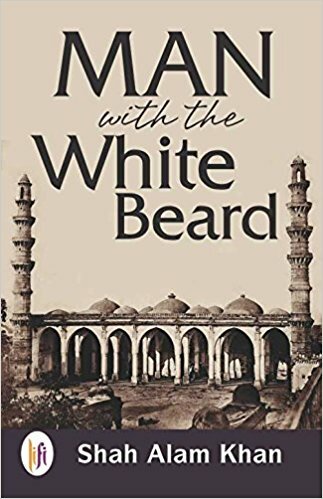 Man with the white beard …..
A carpet of time unrolls … the story- fiction married to fact , the two intrinsically interwoven with the legacy of tresspasses of brutality across the length and breadth of the worlds largest so called secular democratic country and the daily mundane lives of its inhabitants ! The despair pain and personal losses of the characters their apprehensions and their fall and victories their joys and sorrows so beautifully intermingled with the horror of the massacres with candid simplicity by the author leaves you in deep thought as you read the last line …. The subtlety with which issues of adoption , trafficking ,friendship, the dichotomy of religion and the relational digitisations created by it , the choiceless choice of choosing your goverment the chaos these create and the possibilities possible is played out by the characters is commendable …. Your god and my god ! As if man the ultimate creation of god ,now owned his own creator ” he writes ! Although through out the dream sequences of goldy , khan blatantly gives you every possible clue he manages to keeps you in absolute suspense till the very end… only the last few pages revealing the true identity of the man with the white beard leaving the reader totally perplexed and awestruck ! Khan with his characters takes you on a smooth ride through the extreme polarities of horror and hopefullness with much aplomb . The simple naive kulwanti wins your heart by the end as the compassionate woman of substance . She the epitome of motherhood benignant and humane in the face of the harshest trials and circumstances fuctioning from the space of ‘ never give up never give in never quit ‘ stays with you long after the completion of the story………. What else is possible !